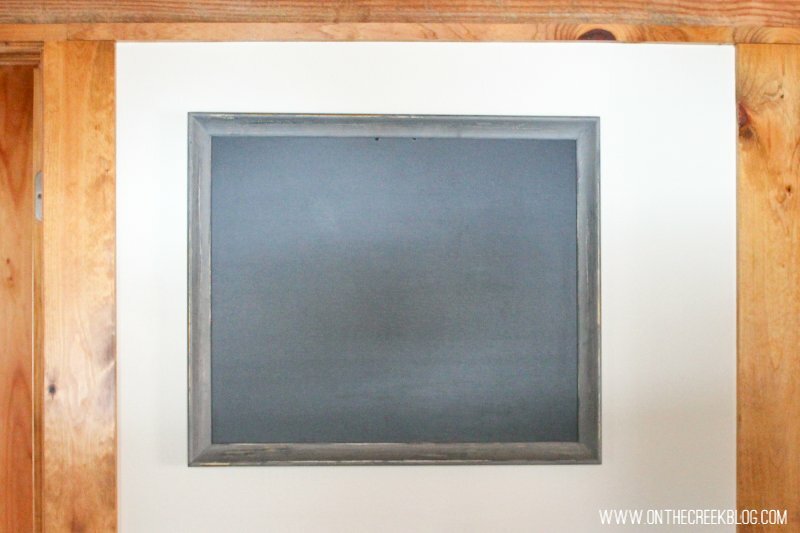 I’m sharing the details on how I took an old picture frame & turned it into a chalkboard! 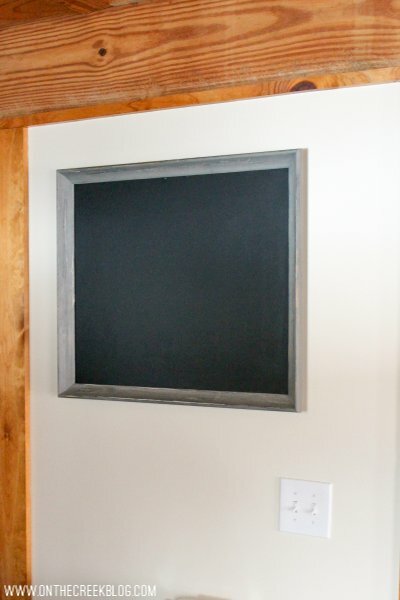 I’ve been wanting to make a chalkboard to put in our kitchen for a long time. 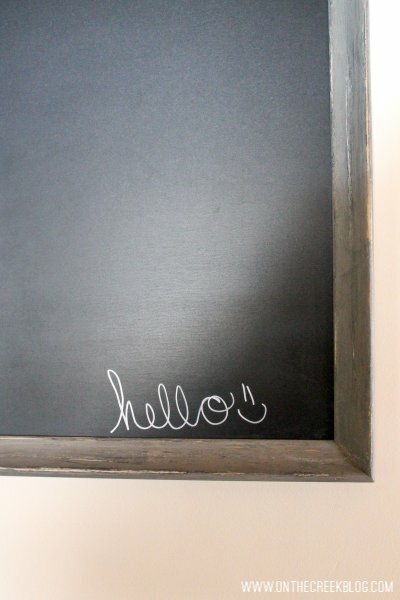 I even went out & bought chalkboard paint & magnetic primer so I could make my own custom sized chalkboard. 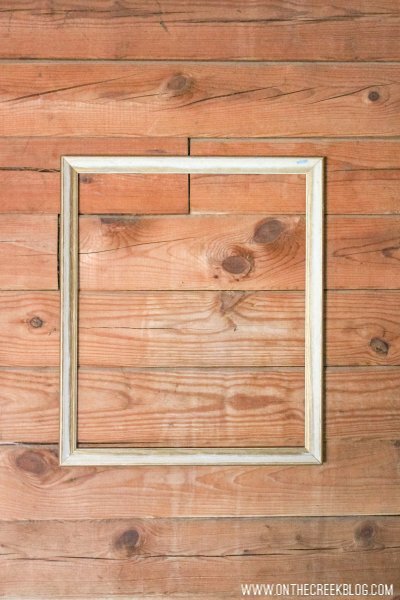 I was going to use a piece of plywood or MDF board & make a little frame around it. 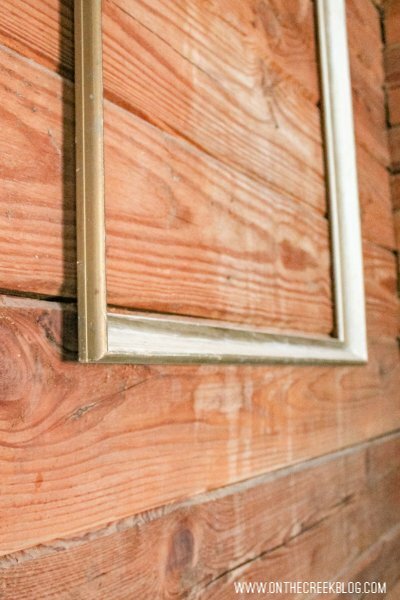 I was strolling a thrift store one day when I came across a huge old frame. I thought it would be perfect for my chalkboard project! 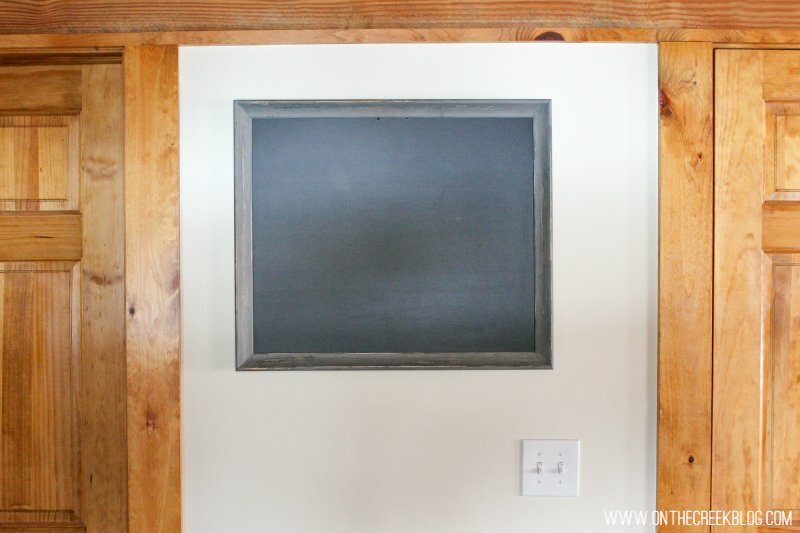 Then all I had to do was paint the frame & cut & paint the chalkboard part to put inside! First, I got started on painting the actual frame! 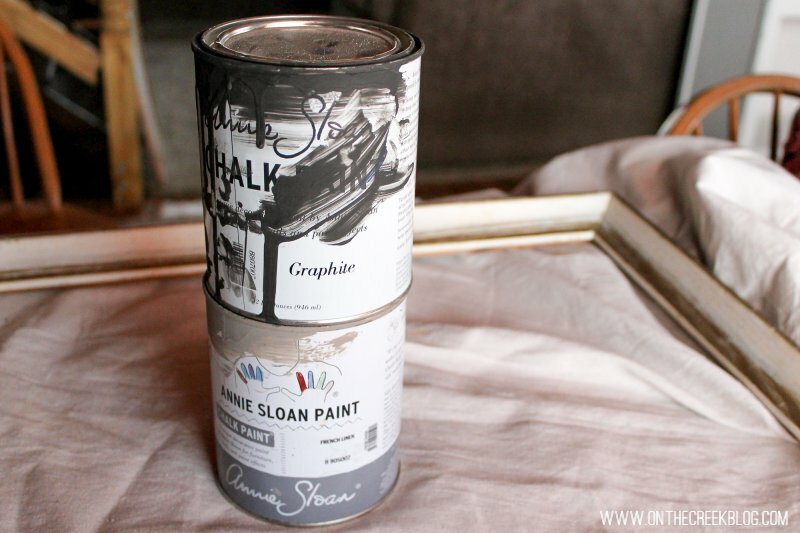 I painted the frame with Annie Sloan Chalk Paint®. I first used Graphite to paint the entire frame. After that dried, I painted the entire frame in French Linen. After that dried, I took a sanding sponge & started distressing. I didn’t intend to distress this much, but I was loving the way it was looking so I kept going! 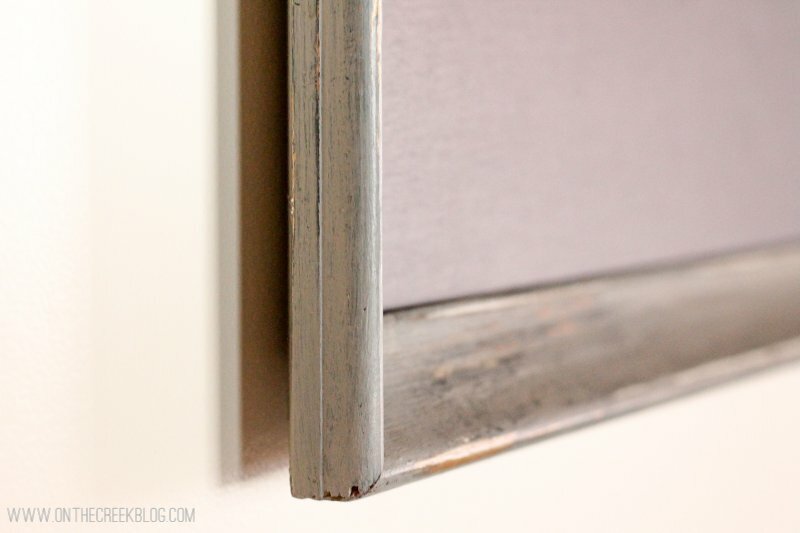 After I was finished distressing, I sealed the frame with the Clear Chalk Paint® Wax. Later on, when I was watching Instagram stories, I came across a story from Kim where she was showing her chalkboard calendar. 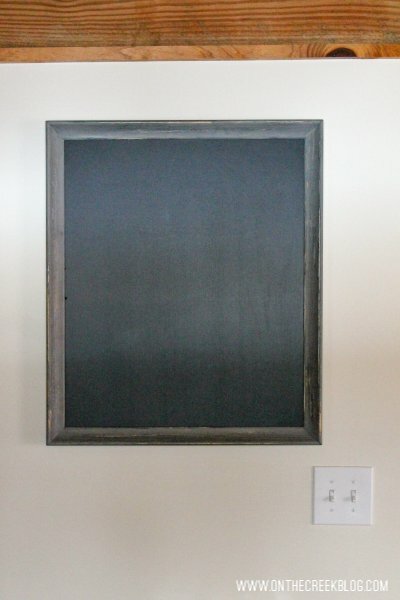 She said it was a premade chalkboard panel that she bought at Home Depot. 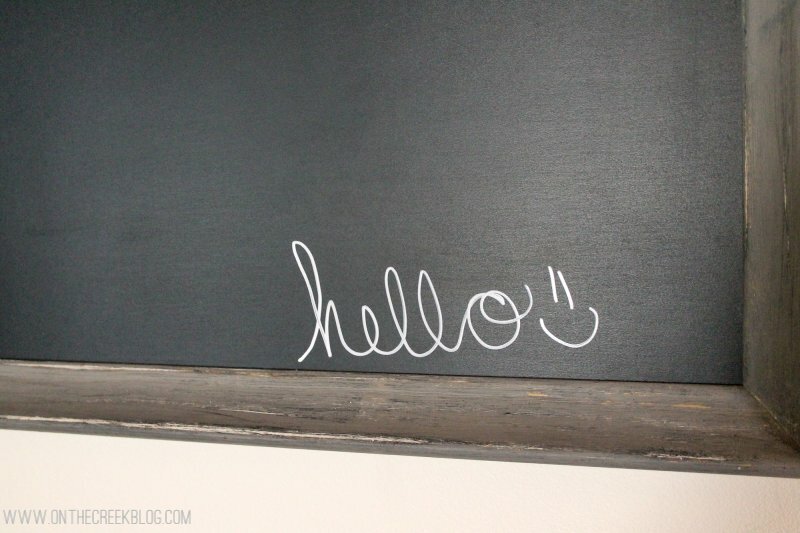 I didn’t realize Home Depot sold chalkboards already made, so I was super excited to check them out! That way, I wouldn’t even have to paint my own board! 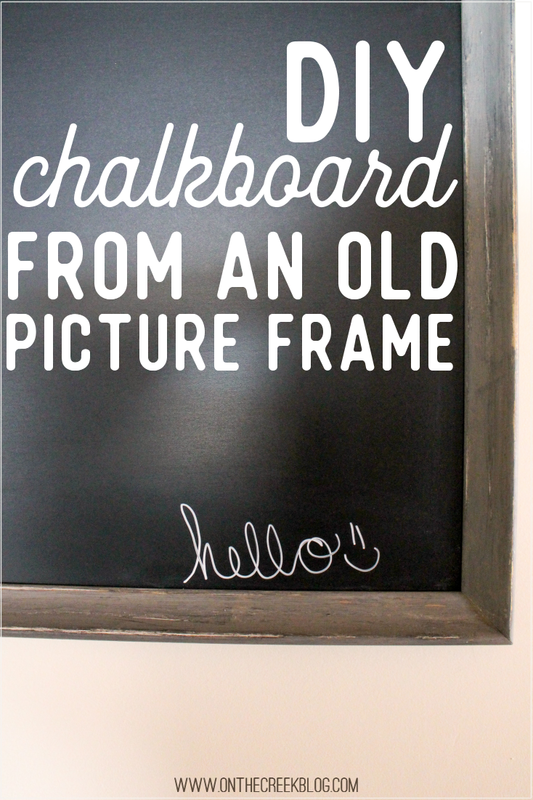 Last weekend, I headed to Home Depot & picked up my chalkboard! 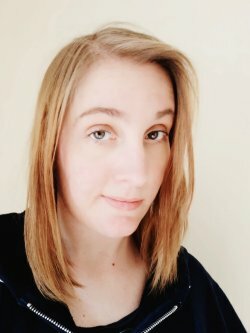 It was super big, so my husband & I had to cut it down a little bit. We just used a razor knife to cut through the board. It took a few cuts to get all the way through it, but we did it! 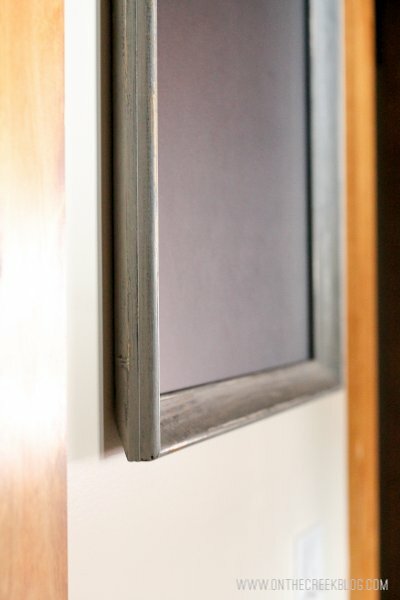 After we cut our chalkboard, we hot glued it to the back of the frame. Hot glue was probably not the prettiest or best choice, but it worked! 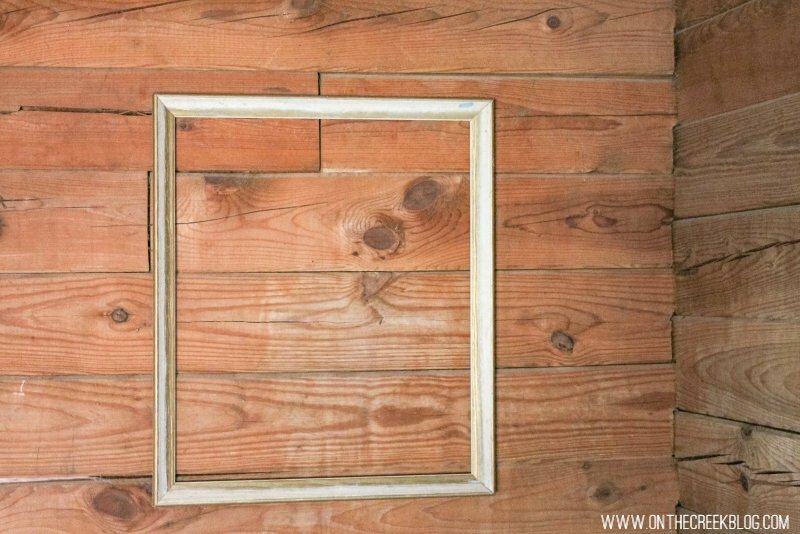 Then my husband attached two sawtooth hangers to the back, that way the frame can be displayed both horizontally & vertically!